As brands race to keep their fingers on the pulse of digital trends, it’s important to remember that traditional marketing tactics can still deliver powerful results. Of course, billboards are nothing new. Designed to be viewed by people on-the-go, billboards must include impressionable images with a simple message. And, when combined with an integrated marketing approach, offline strategies, like billboards, still prove to be good for businesses (both B2B and B2C). At CMDS, we know how to attract attention from miles around with compelling billboard designs that effectively communicate a brand’s message in a very short amount of time. Through brand awareness, our goal is to help you build long-term relationships, not short-term transactions. Our team of designers, copywriters and marketing experts craft billboards that make your message memorable and get your brand the attention it deserves. The average American spends nearly 20 hours per week in a car – either as the driver or as a passenger. Over 70% of drivers have reported that billboards directly influence their buying decisions. Research shows that the average person views a billboard for about 4 seconds. It must be designed to make an impact. Of course, getting noticed is only half the battle. A common misconception about billboards is that the message is too brief to be persuasive. But that’s not necessarily the point. The purpose of billboards are to build brand recognition, reinforce brand recall and make brands familiar household names. And now with the expansion of digital billboards, you can seamlessly blend traditional advertising with modern technology. No doubt, the offline marketing industry has revolutionized. Are you ready for real-time advertising? Over 55% of Americans mentioned a billboard they found funny in conversation. Make your brand stand out with a memorable billboard advertisement. CMDS has a passion for growing brands, let us help you make the most out of your advertising with billboard designs that raise more than a few eyebrows. With so many people online and overwhelmed by pixels, you might be curious if offline methods still work. 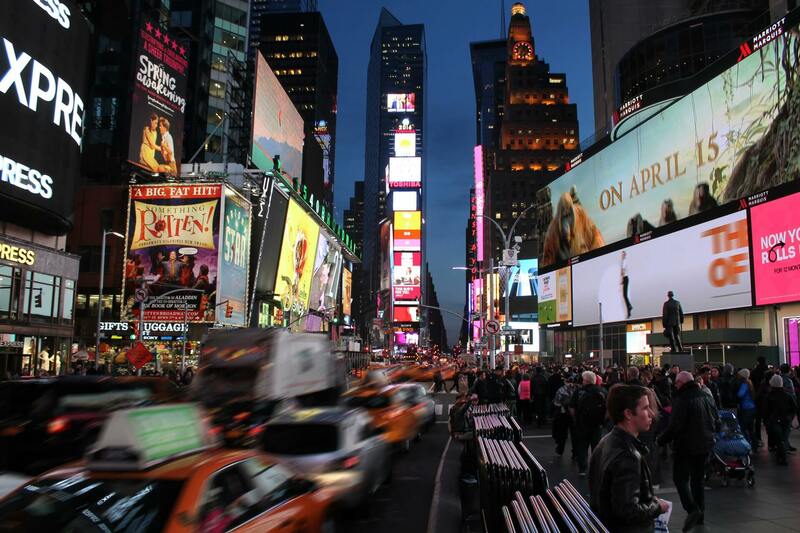 Here are some reasons why brands should take advantage of a captivated audience with a visual tapestry: the billboard. Are billboards worth it for my business? The answer to this greatly depends on your marketing budget as well as your ultimate goal. If you’re trying to increase brand awareness, billboards are a great way to get the word out. Combining both online campaigns with offline marketing tactics is the best way to boost brand visibility. In addition to the design, when considering costs, it’s also important to factor in the cost for print, installation and rental space. Rental costs will depend greatly on the size, location and whether it is traditional or digital. What is the unit of measure for billboards? The unit of measure for billboards is Daily Effective Circulation (DEC). This number represents the number of vehicles that pass by the billboard as well as the number of pedestrians. Typically billboards only cost $1-2 per thousand views compared to radio and television advertising which can cost $6-10 for the same audience. While it can be difficult to specifically measure print marketing efforts, such as billboards, it is a good way to increase brand awareness. What kind of billboards designs can I use? Static- The classic brand awareness tactic is the static billboard which impacts commuters daily. 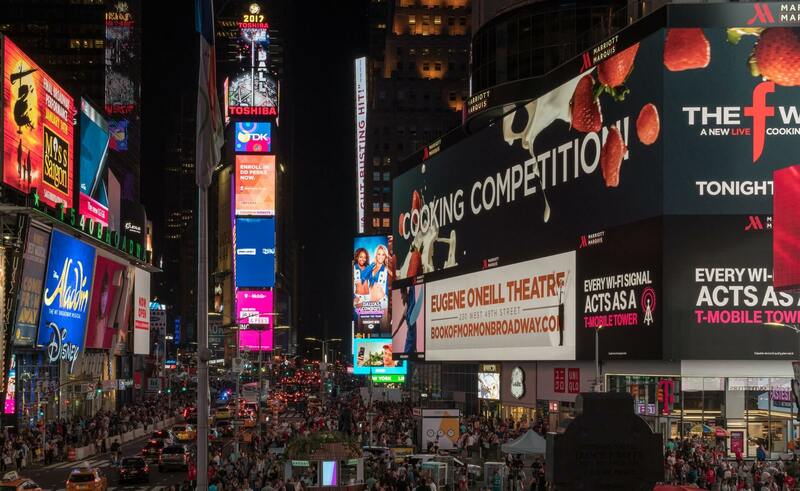 Digital- Connect with consumers in real-time, digital billboards with bright and bold LEDs help brands stand out and change messages easily. Transit Shelters- Display your message in front of neighborhood traffic with high circulation. Walls- Get creative with messages on poweters or walls, typically available in downtown areas. Benches- Engage with commuters all hours of the day by saturating the community with a strong visual impact. From colors and copy to imagery and layout, our marketing experts are ready to strategically magnify your brand. Get in touch with us at (732) 706-5555 today.